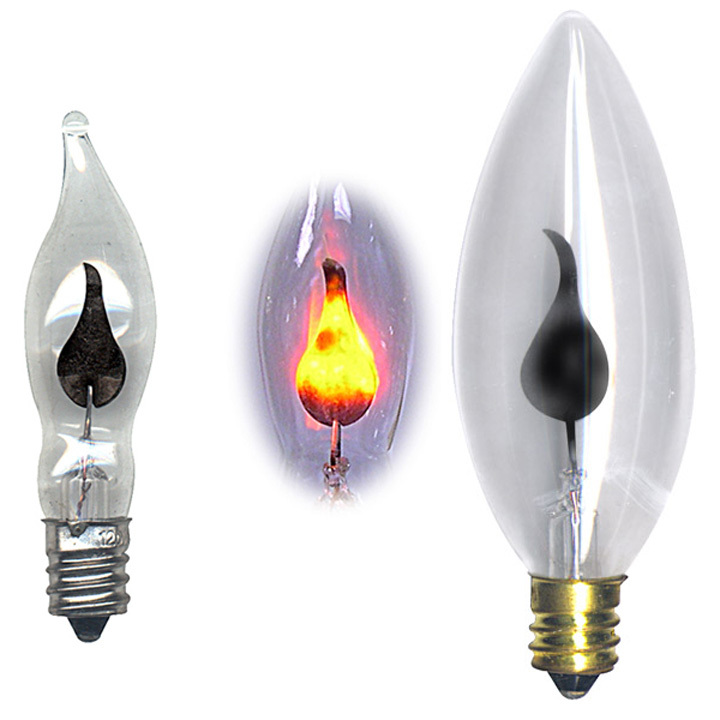 Flame Shape Light Bulbs are Natural Looking whether Illuminated or not. Steady Burning with A Classic Country Look. 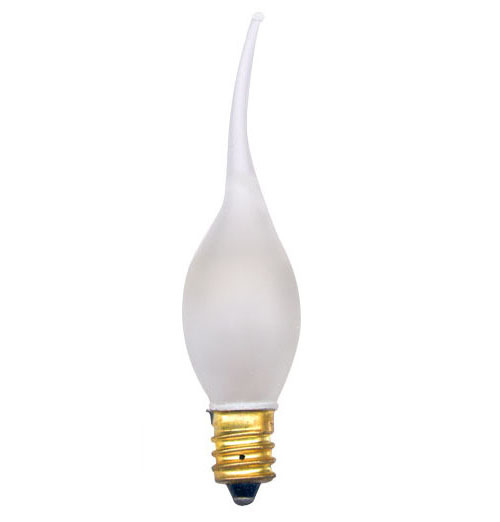 To determine length of glass portion of bulbs deduct 5/8" from overall lengths listed below. Individually Boxed and Packed in Cartons of 25. 5 25 50 100 Qty. 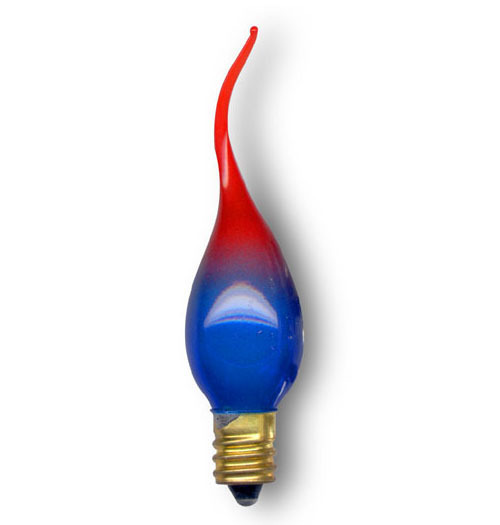 Sold only in multiples of 5 of a stock number.Please observe minimums.